"You'll aways be in my heart, u are my mom, your faith was..."
"My heartfelt condolences go out to the entire Laurie family..."
PORTLAND - Claire P. Labrie, 70, of Forest Avenue, died unexpectedly at her home on Thursday, Sept. 13, 2018, following a brief illness. Claire was born in Portland on March 3, 1948, the daughter of Paul J. and Blanche M. (Frechette) Labrie. 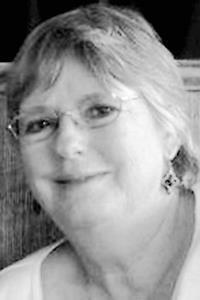 She attended local schools and graduated from Deering High School in the class of 1966. Claire worked for Sanborn Trucking Company as an office assistant for 15 years then worked for several years for a local doctor before ending her working career at the Barron Center after ten years of service. In her spare time she enjoyed doing puzzles and loved to travel. She was an active communicant of St. Joseph's Church in Portland, serving on several committees and active in different church activities. Her greatest love was the time she spent surrounded by her family. Claire will long be remembered as a caring, helpful, and friendly person, she will be missed. Claire was predeceased by a brother, Real Labrie in 2018. She is survived by her mother, Blanche Paquette of North Carolina; two sisters Francine and her husband Ray Landry of North Carolina, Chistiane Godbout of Portland, two brothers Claude and his wife Janice Labrie of Florida, and Donald and his wife Laurie Labrie of Buxton; several nieces and nephews.